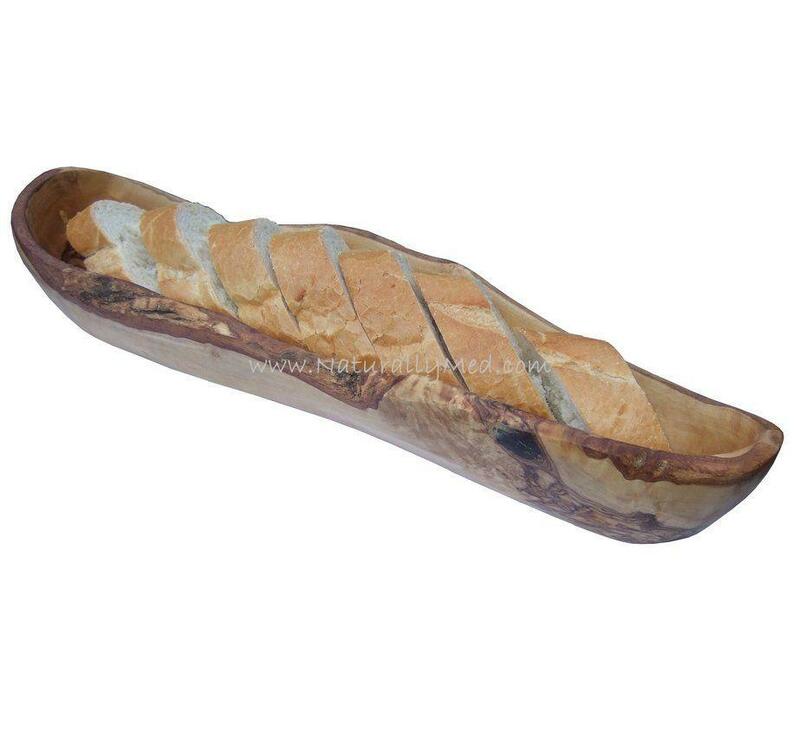 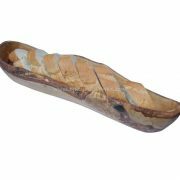 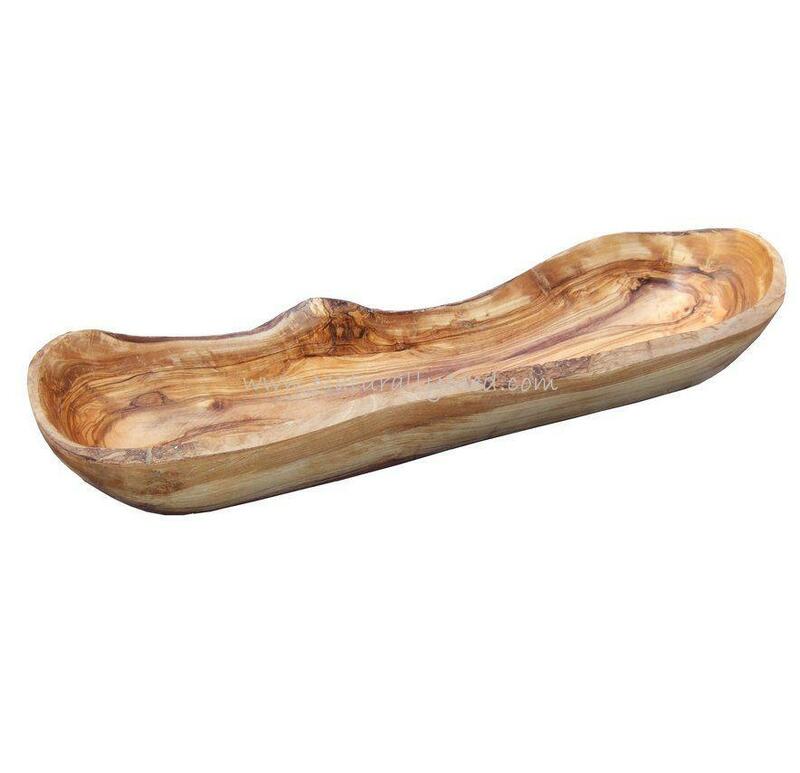 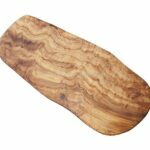 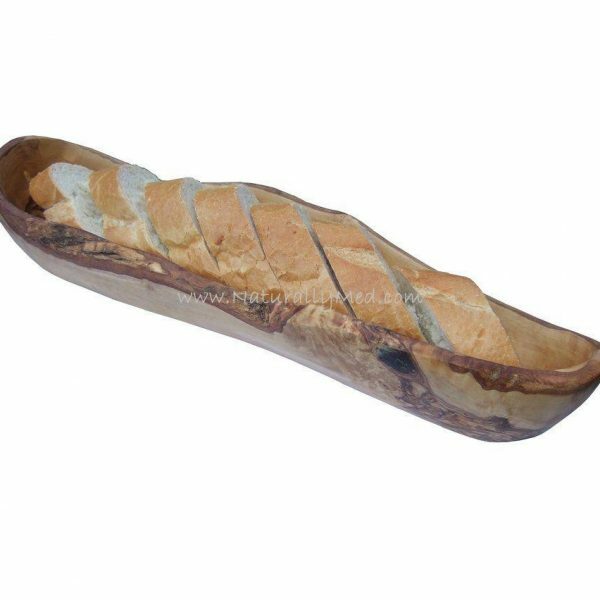 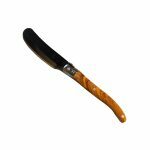 This rustic olive wood baguette / garlic bread serving dish has natural bark edging and is perfect for serving a baguette whole or sliced, a stunning addition to your table. 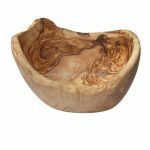 The uses for this dish aren't just limited to bread however, you could use it to serve crisps or nuts, or just to store your keys or jewellery! Please note this is a natural product, shape and size will vary slightly with each product.